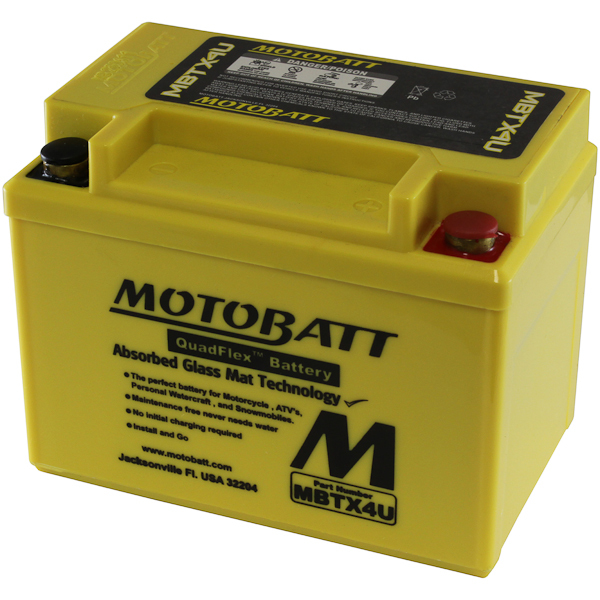 The Motobatt MBTX4U is not going to fall into the typical PowerSports battery designs available on the market today. 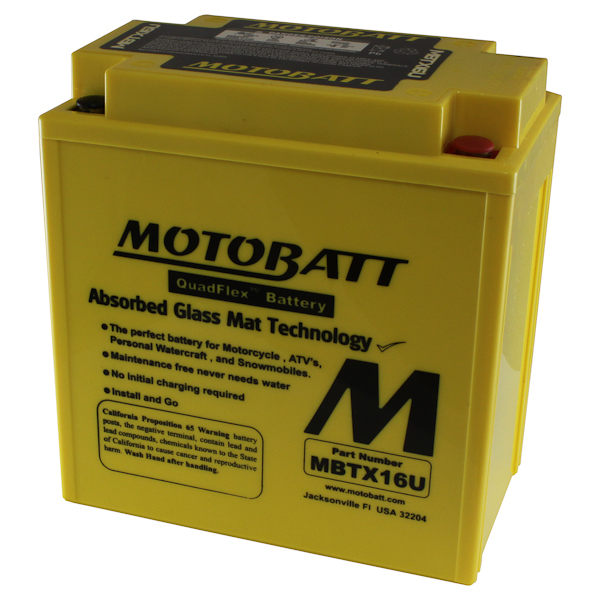 MotoBatt has re-invented its products specifically for today's PowerSports market to now have the "Triple Threat" of 1. High Vibration; 2. High Starting Loads and now more than ever; 3. 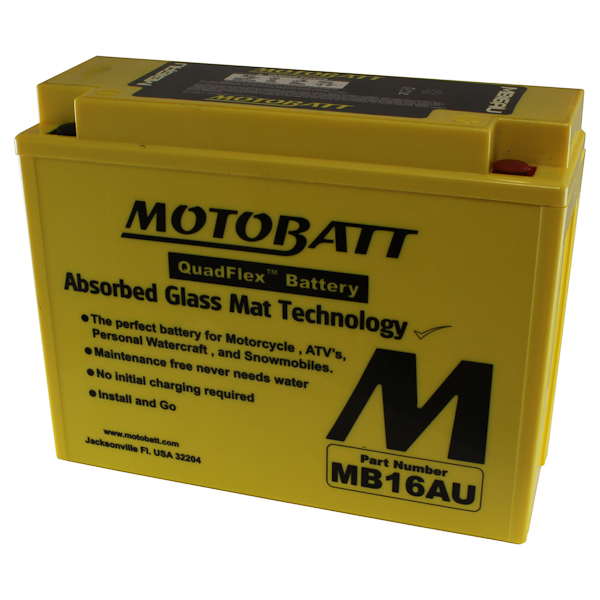 Additional high powered accessory loads. 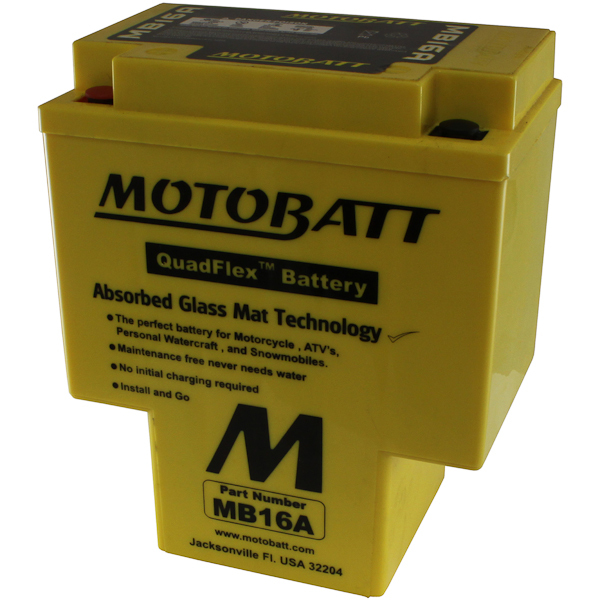 Along with Quadflex post technology, the MBTX4U is a high cycle battery and comes with 4 posts, so that you can evenly distribute the load across the product and not overload single terminals. 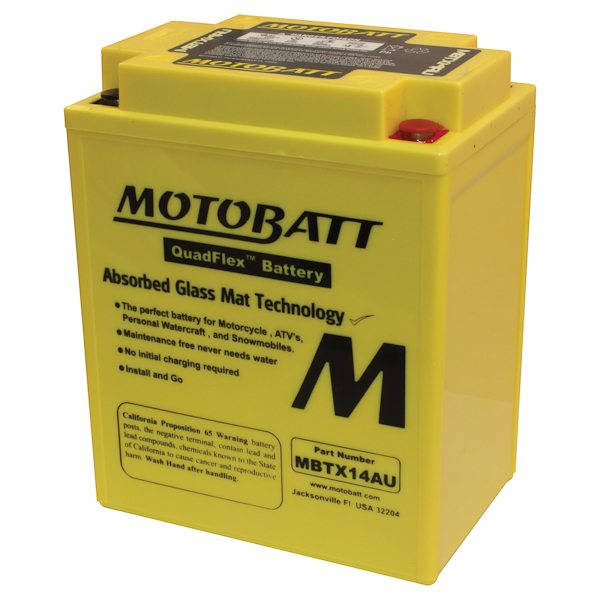 This 12V AGM battery comes with a two year free replacement warranty. Competition doesn’t stand a chance when it comes to performance, reliability, and service!